For Manchester United and Ole Gunnar Solskjaer, it was another step in the wrong direction, a third defeat in four games and a considerable dent to hopes of finishing in the top four. But for Scott McTominay, it was a night he’ll never forget. While the result was ultimately disappointing, losing 2-1 twice at Wolves in the space of three weeks, the young Scot acquitted himself superbly at Molineux. Scoring his first United goal during a display defined by poise and maturity through the middle. Whereas Paul Pogba and Fred, his two midfield partners who cost the club a combined £150million, failed to convince, the 22-year-old was singled out for praise by Solskjaer. “Scott has never ever let us down and he never disappoints when he plays,” the new permanent boss said. “And tonight was another very, very fine performance by Scotty. So, it won’t be hard to see him play many, many games for Man United, because he has got such a great mentality. Solskjaer’s comments are telling. The Norwegian praised McTominay’s attitude because he knows it’s been a frustrating period for the 22-year-old. Although he signed a new long-term deal in January, he has not been involved as much as he would have liked this season. Indeed, Tuesday night was just his seventh league start of the season, equalling his tally from last term. Largely ignored by Jose Mourinho in the early months of the season, the new boss has been willing to utilise him more. Impressive in the FA Cup win over Reading, he then performed steadily in the wins over Palace, Southampton and Paris Saint-Germain. His game management, particularly under intense pressure away in Paris, was superb. His ability to play simple, effective passes, drive into space and draw fouls from the opposition often gave his teammates time to breathe and regain their shape. He relished his role as the quiet lieutenant. Marcus Rashford and Romelu Lukaku may have stolen the headlines with their match-winning prowess but they had McTominay, United’s unsung Champions League hero, to thank for ensuring the Red Devils walked away from the Parc des Princes with a 3-1 win. Solskjaer’s second remark is equally revealing. The midfielder has not always been associated with an ability to influence games in the final third but Tuesday night might alter the public perception around him. There were shades of Michael Carrick with the way in which he conducted the grittier aspects of the job but he also evoked memories of Paul Scholes; his excellent finish and regular darts into the penalty area put you in mind of the legendary United midfielder. And while McTominay has a long, long way to go before he can match the ingenuity of Scholes, there is perhaps a future for him in a more advanced role under Solskjaer. When he broke through under Mourinho, it looked as though the Scotsman’s future lay in a deeper midfield role; someone to break up play and shift the ball out to the wing or through the centre to more advanced players. But perhaps he can thrive as one of the men higher up the pitch. One of the pressing tactical considerations for the United boss is what to do with Pogba. After an excellent run of form after the Norwegian’s arrival, the Frenchman’s form has tailed off again. Solskjaer has admitted that he may deploy the former Juventus man in a deeper midfield role, much like how France boss Didier Deschamps uses him. If Pogba is pulled back, there is certainly an argument to trialling McTominay closer to the frontline. The Scot is not as technically gifted as United’s record signing but, in a way, that makes him more efficient. Pogba can be his own worst enemy, dithering on the ball and overcomplicating matters when there is a simple option available. 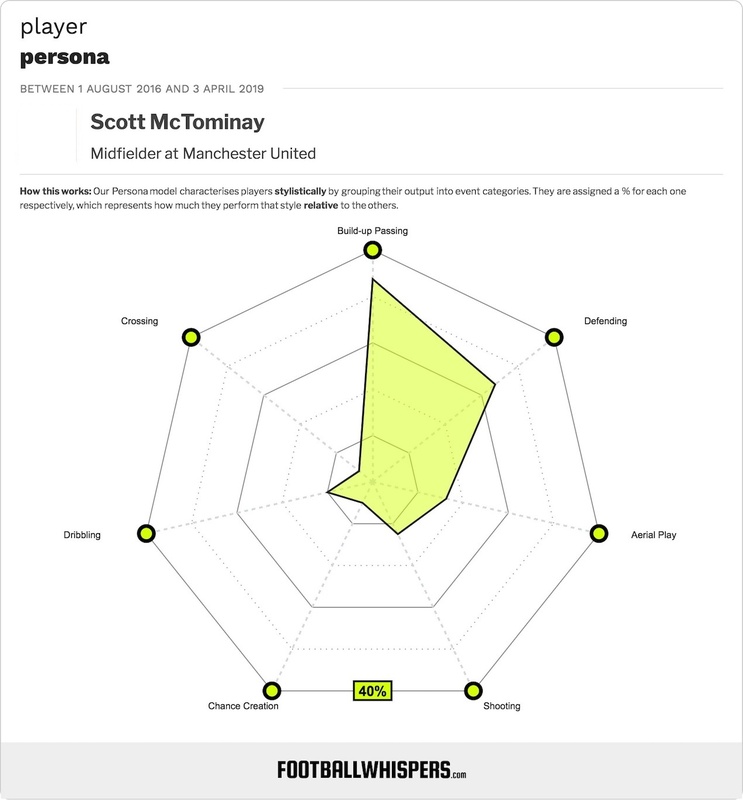 In stark contrast, McTominay has been drilled from a young age to pass and move with much more simplicity. He can see a pass but, against Wolves, showed a knack of timing his runs into the box to perfection. His sweetly-struck right-footed drive will do wonders for his confidence, too. It’s funny how things can change so quickly. Just as one player creates a problem, another provides a potential solution. 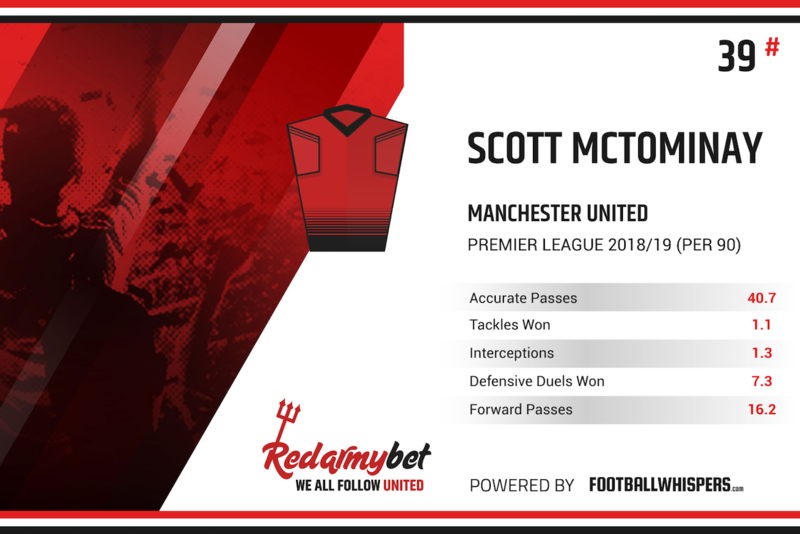 For much of his nascent United career, McTominay has looked like a squad player. But he has quietly put together a fine season and, given his excellent work against PSG, has more than staked his claim to be involved from the start when Barcelona come to town next week.